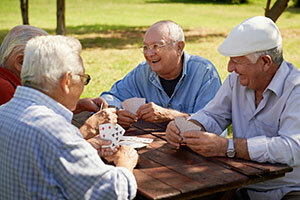 Toronto is a big city with numerous different communities and options for retirement homes. When deciding on a home for either yourself or a loved one, it is common practice to go in for a visit, look around, and ask questions so you can better familiarize yourself with the place. If you are unsure what to look for, or want to check if you've overlooked something, consider the following elements in your evaluation. The other residents and staff in the retirement home or senior living facility are going to be your community once you move in. If you can, speak with other residents during a visit and try to learn about their personalities or interests. Keep in mind those that you don't think you can get along with as well as those you'd like to know better. The same applies to the staff. Senior care works better when staff and residents are able to have friendly, enjoyable relationships beyond the formality of their positions. Staff that is warm, respectful, and accommodating to the challenges of age is a key part of this. The size of the home depends on personal preferences. Some people like smaller, more personal buildings while others might enjoy a more active and larger community. Look around, and get an impression of the buzz in activity in the home at the time of your visit, to get a sense of the presence of staff and their friendliness. Toronto has a lot to offer, and what you or your parent will have access to depends a lot on the home's physical location. Look at what is within a few blocks of the retirement home. Check for parks, libraries, theatres, cafés, medical facilities, and other such amenities you may want to visit or be in need of. Make a note of which sites are within walking distance and which may require public transit or a car. How easy the home is for loved ones and friends to visit may also play into your decision. Even if you or your loved one are able-bodied now, it is important to consider how accessible a candidate home may be. This includes things like ramps or grab bars but also how well staff can understand and respond to the needs of frail or disabled seniors and help them in daily tasks. If there are other locations nearby you'd like to visit, take a look at how accessible they are as well just to be sure. Since 1996, TheCareGuide.com has been an online repository of information and guidance for seniors and their families. It provides insights into elder care and housing solutions covering the full spectrum of choice from staying at home with Home Care or Community Support, to Retirement Homes that provide Independent to Independent Supportive Living, Assisted Living, Memory Care, Long Term Care, and Hospice and Palliative Care. More information and advice on senior living solutions can be found on our website and we can be contacted at 1-800-311-CARE (2273) for additional help.